Jonas Brothers Fandemonium: Smaller News For Today! 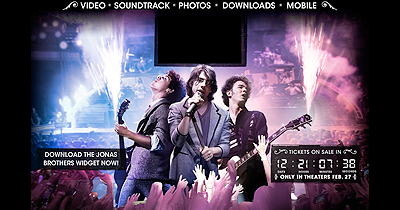 The Jonas Brothers added the 3D Movie version of “Tonight” on their Myspace page, you can check it out by clicking here. The Jonas Brothers: The 3D Concert Experience website is now changed, they will be soon adding photos, videos, soundtrack details, and more. Check it out by clicking here.